Scroll down to learn the typical characteristics of Sagittarius men and women. Shown above is an everlasting calendar for the month of December. Fill in the dates and year of your choosing. 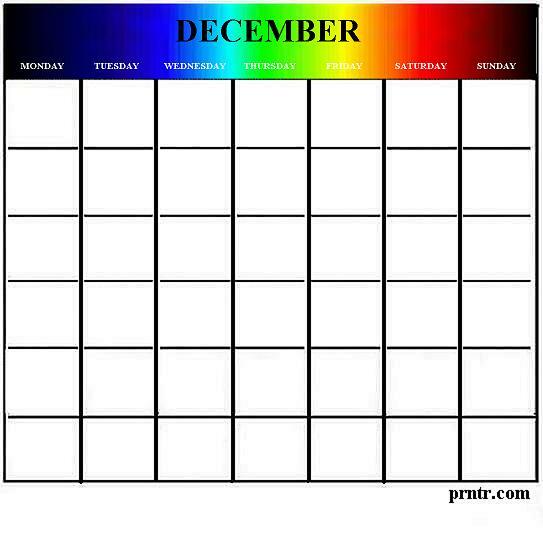 The month of December always begins on the same day of the week as September of the same year, and always ends on the same day of the week as April of the same year. To print this calendar, right-click on the above image and select a SAVE option from your drop-down menu. This will save the image to your picture file for future use. From there you can manipulate the image and print as needed for your own personal use. Sagittarius is the ninth sign of the Western Zodiac, originating from the constellation of Sagittarius. It is commonly believed that people born under this sign are open-minded fast thinkers with a great sense of fun. They are anxious to understand others, always seeking deeper meaning. They are outspoken and honorable, with a passion for justice. On the down side, Sagittarius personalities may show a tendency toward carelessness and sometimes lack focus. They are typically prone to impulsive behavior. In terms of human relationships, people born under the sign of Sagittarius are considered compatible with people of the signs of Aries, Leo and Sagittarius itself. Sagittarius people are born between November 23rd and December 21st. The rest of the month of December falls under the sign of Capricorn. Here are some links to Sagittarius profiles, clipart, and tattoo designs.